The organisation plans to implement a new strategy or technology that will change the way front line staff will carry out their core roles. The scope and scale of the change is large - touching on a number of systems, processes and organisational groups. The business impact, budget and risks are perceived to be high and there are concerns around how well staff will cope with the change. 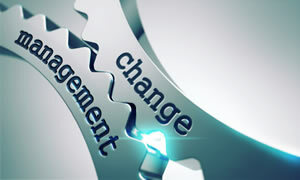 The incorporation of change management methods into the development. "Large and complex ICT projects delivering significant organisational change, need to be conceived as Programmes. Narrow ICT project management methodologies put success at risk. We provide the Programme Management expertise you need."